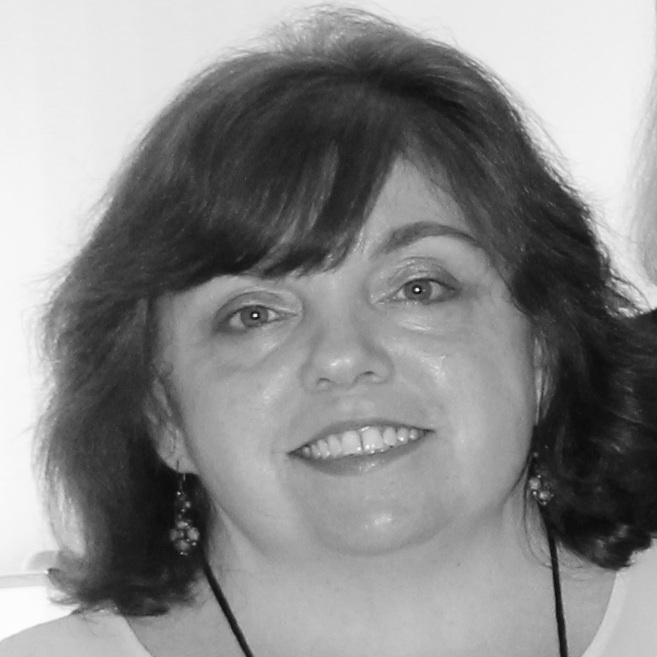 Welcome Guest Blogger, Rosie Genova! Jessie: Today the Wickeds are delighted to welcome Rosie Genova to the blog. One of the wonderful things about the mystery writing community is the population. You meet so many interesting people online and they tend to be great to get to know. That’s just what happened in this case. Rosie and I shared a release date for our “First in a New Series” books that came out in October. With one thing and another we got to chatting online and now, here she is ready to share her take on a controversial subject. But the presence of romantic subplots in mysteries can be a polarizing topic. In what is a vicariously wishful move on my part, in my debut novel, Murder and Marinara, I have provided not one, but two romantic interests for my main character, Victoria Rienzi. Since M and M is the first of a series, I am having a grand time setting up a triangle with Victoria, her ex-boyfriend and chef Tim Trouvare, and rough-around-the-edges New Orleans transplant Cal Lockhart. Some readers have commented positively on the presence of two hunky guys. But I have learned the hard way that not all cozy readers want a love story cluttering up their beloved genre. At my first Malice Domestic conference last year, I chatted eagerly with fans in the goody room, watching with an eagle eye for those who picked up my bookmarks and recipe cards. One lady struck up a conversation with me about the book, and when I mentioned there were two love interests, her expression changed from interest to disgust. On Goodreads and Amazon, where readers make no bones about their likes and dislikes, a few reviewers deducted stars because of the romantic triangle, and some didn’t like the idea of a love story appearing in a mystery at all. And while I respect those readers’ preferences, I will continue to give Victoria an ongoing romantic dilemma, and hell yes, she will be getting some well-deserved kisses in between solving murders. Because in the presence of death, there must always be life. And there’s nothing more life-affirming than love. 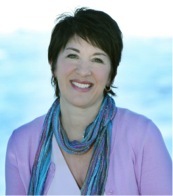 Author Bio: A Jersey girl born and bred, Rosie Genova left her heart at the shore, which serves as the setting for much of her work. Her new series, the Italian Kitchen Mysteries, is informed by her deep appreciation for good food, her pride in her heritage, and her love of classic mysteries from Nancy Drew to Miss Marple. Her debut novel, Murder and Marinara, was named a Best Cozy of 2013 by Suspense Magazine. An English teacher by day and novelist by night, Rosie also writes women’s fiction as Rosemary DiBattista. She lives in central New Jersey with her husband and two of her three Jersey boys. Hit whodunit writer Victoria Rienzi is getting back to her roots by working at her family’s Italian restaurant. But now in between plating pasta and pouring vino, she’ll have to find the secret ingredient in a murder…. 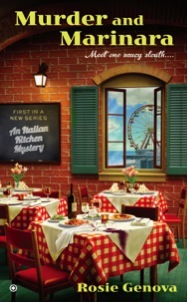 When Victoria takes a break from penning her popular mystery series and moves back to the Jersey shore, she imagines sun, sand, and scents of fresh basil and simmering marinara sauce at the family restaurant, the Casa Lido. But her nonna’s recipes aren’t the only things getting stirred up in this Italian kitchen. Their small town is up in arms over plans to film a new reality TV show, and when Victoria serves the show’s pushy producer his last meal, the Casa Lido staff finds itself embroiled in a murder investigation. Victoria wants to find the real killer, but there are as many suspects as tomatoes in her nonna’s garden. Now she’ll have to heat up her sleuthing skills quickly…before someone else gets a plateful of murder. Thanks for visiting with us today, Rosie. It seems like love is complicated even when you are just trying to get it right on the page! Jessie, thanks so much for having me. Dare I say it–it was “wicked” nice of you! Welcome, Rosie! I completely agree about romance in cozies, and I include some in each of mine. Life has love in it. And I’m adding your book to my TBR pile. Thanks, Edith! Good to hear on both counts! Thanks for responding, Gram. And thanks for adding me to the pile. Thanks for visiting with us Rosie! I love a little romance in my cozies, so your series fits right into my reading pile! Great to hear, J.A. As I always say: You gotta have mystery in your romance. . .and romance in your mystery! I hear you about the issue of having a love interest (or two). If there is none, you end up with Miss Marple; if you have two, it’s Stephanie Plum. But even if there’s only one it’s always a balancing act, and you’re never going to make everyone happy. 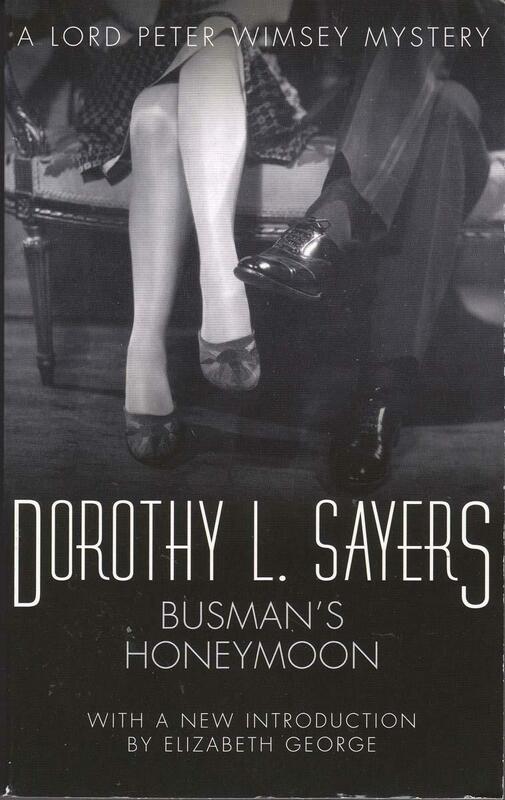 BTW, I read the Sayers series starting with Gaudy Night (and still adore them, and think Sayers’ series is an incredible model for evolving characters and adding depth through the series)–if I’d started at the beginning I might never have read the second book. It’s so funny you say that, Sheila. I, too started with a story that featured Vane–the first one, in which she’s accused of murder. And I absolutely adore Gaudy Night; not only is it a brilliantly constructed mystery, but a touching and tender love story. The sonnet gets me every time! Hi, Rosie! Loved Murder and Marinara and can’t wait for the next in the series. Personally, I like my mysteries with some romance and they seem a little one-dimensional to me without it. I think the Stephanie Plum polarization issue (I hate to call it a problem, since whatever Janet Evanovich is doing is clearly working rather well for her!) only comes into play when the love triangle goes on too long. Joanne Fluke gets low-starred a lot for the same reason–and yet she still sells squillions of books. So do what feels right for your characters, I say. Thanks, Susannah! And I agree about the triangle issue going on too long. Book 2 (Wedding Soup Murder) actually moves us into a quadrangle where Victoria is concerned, so I am changing it up! Hi, Rosie! Loved Murder and Marinara and I’m looking forward to the next in the series. Personally, I like some romance in my mysteries–they feel a little one-dimensional without it. I think the Janet Evanovich polarization issue (I don’t call it a problem, since what JE is doing is clearly working for her!) comes into play when the love triangle goes on too long. Readers get so invested in one guy or the other that they get angry when their guy doesn’t “win.” Joanne Fluke is another author who gets low-starred a lot for a long-running love triangle–and yet, it doesn’t seem to be hurting her sales! So I’d say do what feels right for your characters and keep us guessing, for a little while, anyway. Oops, sorry for the double post 😦 Mods, feel free to take this one down. Thanks for joining us today, Rosie! I look forward to reading Murder and Marinara! I love romance in my mysteries — many books seem dull without it. Great topic and educational — I have a bit of a triangle brewing in my upcoming series. Now I’ll be prepared for the naysayers. Hey Sherry! Honestly, are we ever prepared for the naysayers? Thanks so much for checking in! Rosie–it’s so great to have you here. I think romance is a matter of personal preference, but like everything else, what really matters is how well it’s done. I’ve gotten dings both for underplaying the romance in Clammed Up, and for the resolution. I guess I feel that if I’ve moved you, even if I’ve annoyed you, I’ve made you feel. Exactly, Barbara–then your work is done, right? If there’s one thing I’ve learned it’s that this is a highly subjective business! Hi, Rosie! Surprised the heck out of me when my first mystery, Death al Dente, sparked a chorus on Goodreads of readers who don’t like love triangles. And I really do think the problem is not the romance itself but the fear that it will go on too long, coupled with the unspoken concern that if the protagonist dithers about men, how can she possibly be strong-minded and confident enough to solve a mystery or sustain a series? The trick, I think, is to find a solution that fits the character and moves her forward with each book — and it sounds like you’re well on your way! Hmmm–food for thought (appropriate as we are both writers of culinary mysteries). I love your point about the heroine’s strong-mindedness in work vs. love. But I think it’s an issue for many of us real women as well, no? Thanks for checking in, and many congrats on your Agatha nomination! Real life, indeed! I drew emotionally on a brief experience of my own many eons ago! And thanks — hope to meet you at Malice Domestic! Rosie–I love your love-life-death triangle. So right. And while I shudder when authors include gruesome-crime-scene smooches (don’t those tec’s know there’s a dead guy RIGHT THERE?!) I think a cozy w/romantic interruptions gets it just right! Good luck w book 2! Thanks, Nicole. And crime scene smooches??? Ewww. Hi, Rosie — Being a Pennsylvania Italian whose trips to the Jersey Shore were something to look forward to each summer, I loved the concept of your book. I hope you have great success with it. I wrote my mystery with no intention of having romance in it, but my agent suggested that I add some romance. When writing about romance doesn’t come naturally to you, that can be a challenge. I have two male characters that could be a love interest. What a dilemma! Now to hear that lots of readers don’t like love triangles, I’m really stymied. Writing isn’t for the faint of heart. Hi Grace–no, it is not. But you’d be surprised of what you’re capable of as a writer. I never thought I’d be able to write mysteries, but here I am. Good luck with your project, and hope you get to the boardwalk soon! Love romance in my cozies! Thanks so much for sharing your experience. I’d love to reblog this on my site next week if that is okay with you?